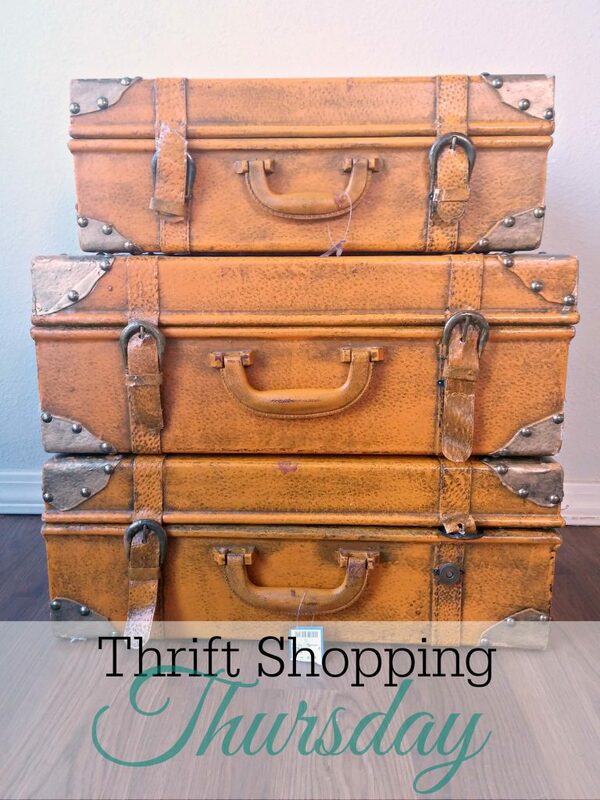 This week I am starting a new series on the blog called Thrift Shopping Thursdays. In this series, I want to share with you finds from my trips to second hand stores. Macklemore would be so proud. This week’s find is a trio of vintage suitcases I found at a consignment shop while visiting my mom in Minnesota. The store is called Turnstyle Consignment. It’s definitely more of a high-end consignment store, so its a little more expensive than what I would usually look for in a second hand store, but its my mom’s favorite place so I went with her, expecting to leave empty handed. We spotted these suitcases on the way out the door. I debated only a moment or two before scooping them up. I originally was turned off by the fact that they were this weird mustard-y color, but I knew they would be perfect atop my plant ledge in my living room. I decided I could paint them (they were already painted this yellow color) a faux-leathery-brown. I won’t have to worry about the paint chipping since they will be kept high out of reach where no one will be handling them and no one will see if the paint starts to chip! I am going to do the straps a lighter, more linen color, and then I got some antique gold paint to do the hardware and the corner protectors. 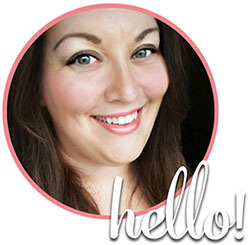 I am really excited about this project, and I will share with you a before-and-after when they’re done! We snagged all 3 pieces for just $38. I’ve seen single suitcases go for more than that, so even though its a higher end second-hand store, there are still bargains to be found. Stay tuned next Thursday when I share with you some of my favorite finds from Goodwill! What do you think of my thrift shop find?